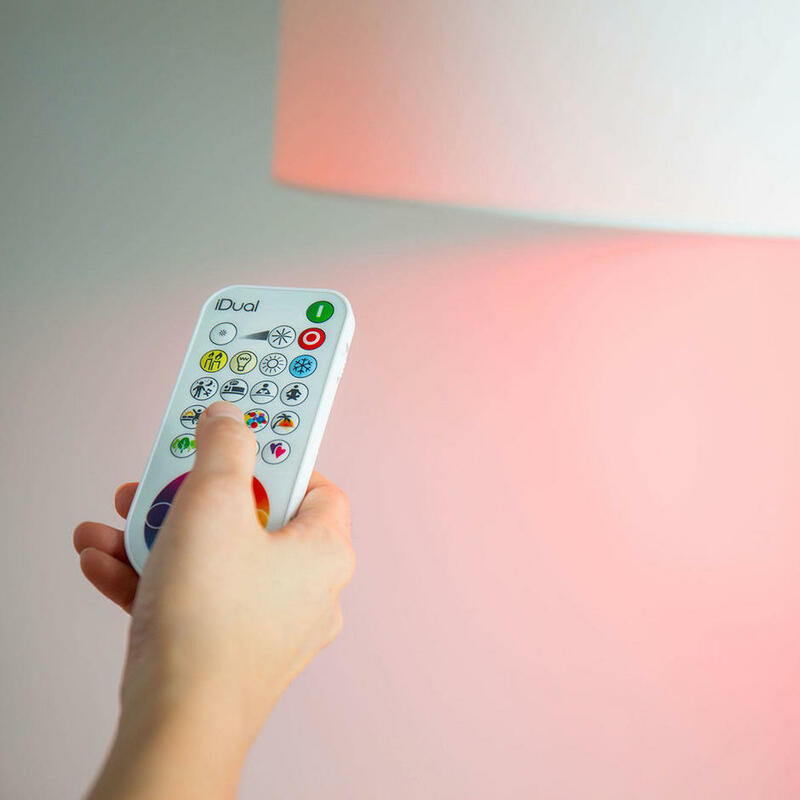 Change colour and intensity at the touch of a button. 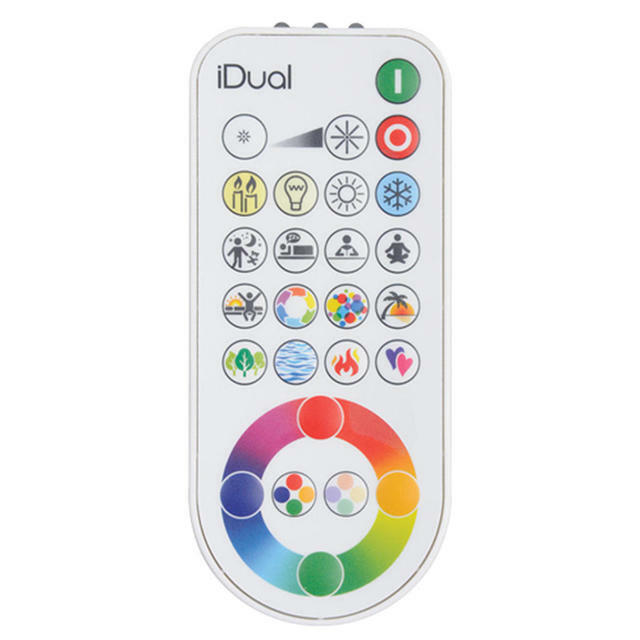 Use the iDual remote to control the intensity and white colour temperature of the light at the touch of a button, choose from warm white light through to bright white light. 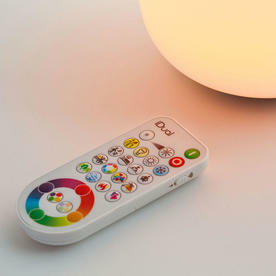 You can add colour to the light, so you can change the light to suit your mood or even the season. The colour wheel on the remote lets you gradually adjust the colour to your choice. 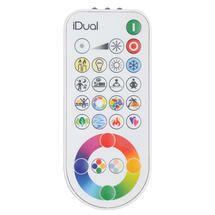 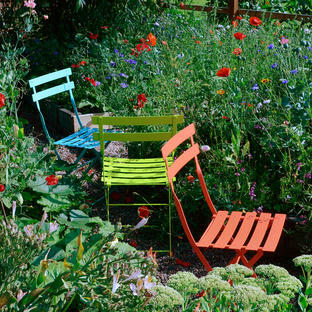 Use it for dimming, changing white temperatures, changing colours into pastel shades and create a dynamic colour scene. 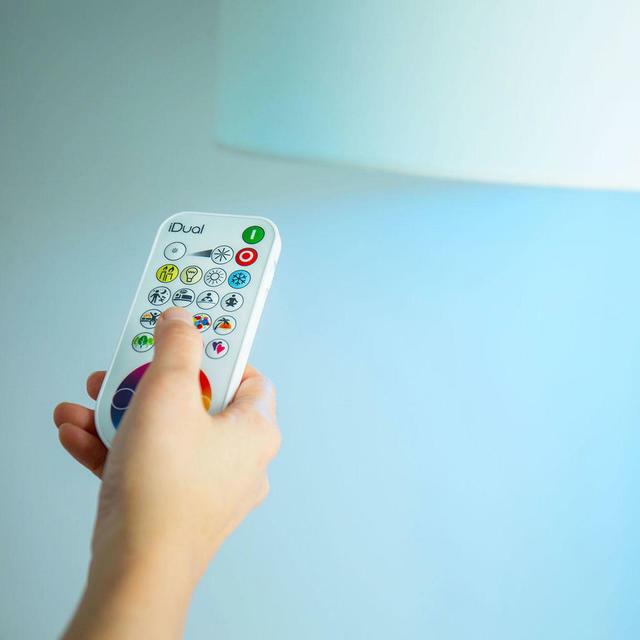 The remote has a range of 6m for global control and selective control for narrow and short range is 3 metres. Note that most lights include a remote control, however it is possible to lose it of course! Please note unfortunately this remote is no longer available.